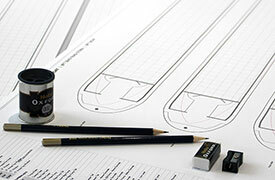 If you’re looking to design a narrowboat or widebeam layout, drawing to scale and at a size that’s usable is invaluable. Whether you are buying a fully fitted boat from a boat builder, buying a Sailaway to fit out yourself or even re-fitting a canal boat, our fully customisable canal boat plans will propel your project from concept to reality. Many of our customers feel purchasing these drawing sets proved to be the most valuable investment made during their entire project. 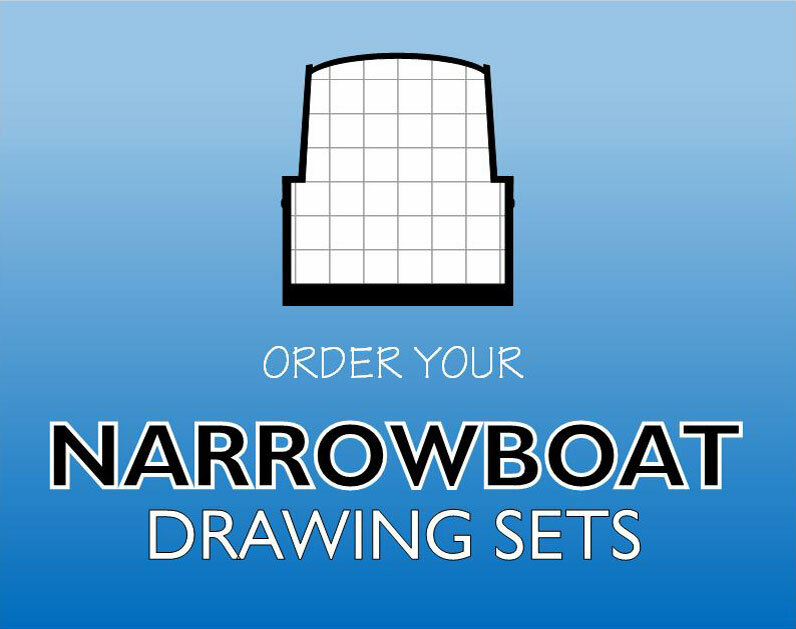 Each set of Narrowboat or Widebeam DIY Design Plans includes four separate printed sheets all designed to 1:25 scale (which means 1mm on the drawing equals 1″ in real life). The slide show above shows an example of each individual design sheet. In summary you will received one page with multiple plan views (3x narrowboats or 2x widebeams) created to easily allow you to play around and compare different layouts. 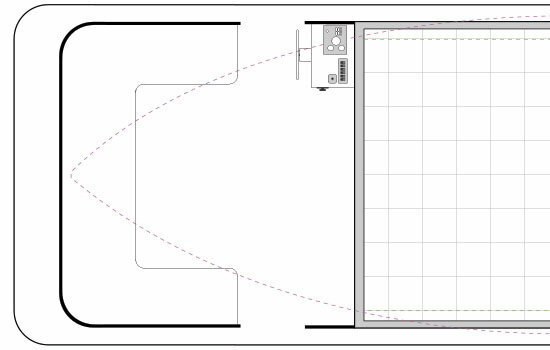 The second sheet includes a single plan view purposefully created with plenty of white space to allow you to add dimensions and electrical and plumbing notes. 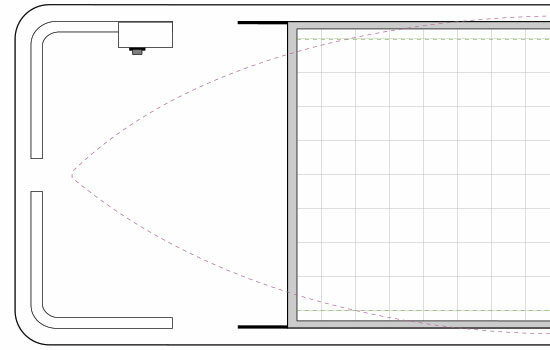 The third sheet includes a plan view and two side views which is ideal for those looking to develop the design to a more advanced stage. 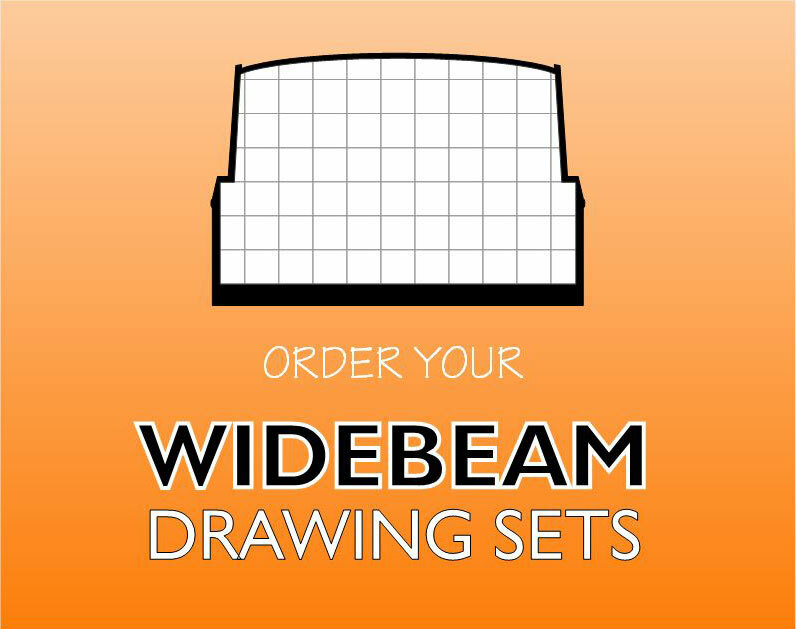 Included with every order is our general equipment sheet which contains common appliances; furniture, beds, showers, stoves, radiators & toilets all drawn at 1:25 scale to give you a head start with the drawing. Customer Feedback: As all the general equipment is drawn to the correct scale of your drawings, cut them out and like a jigsaw explore different layouts before you commit a pen to paper. A standard bow is usually around 8ft long with a deck area (of around (4ft 6″) which can house storage lockers either side (usually an chargeable item if buying new). Aswell as offering valuable storage these lockers also lend themselves to seating. At the very front is a lift up hinged locker which is generally used for gas (LPG) storage. 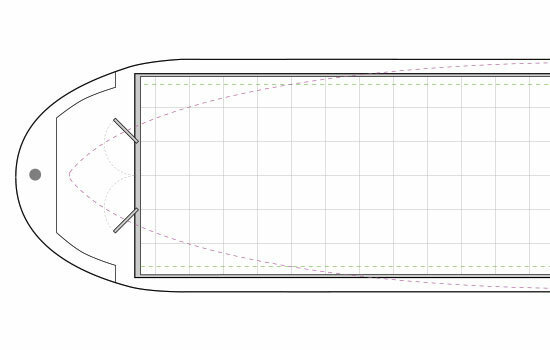 An enclosed bow provides around 4ft extra internal space inside the vessel. This type of bow is particularly popular with reverse layout with the main bed at the very front of the boat accross the full width. The bed then boxes in the mains water tank creating a logical and practical solution. A narrowboat or occasionally a widebeam with a very small rear deck or counter, large enough for only the steerer to stand, which allows the inside cabin space to be maximised. Be aware canal boat engine bays are a miniumum of 8ft so the engine sits inside the boat and will need boxing in. 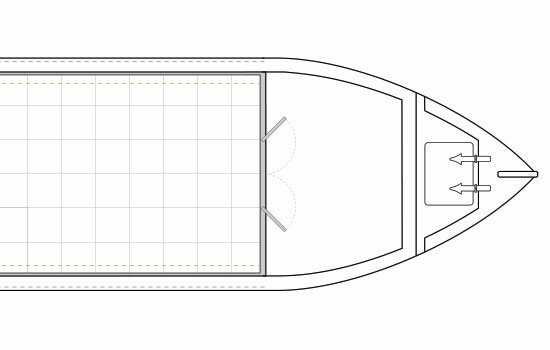 The internal space required for the engine is around 4ft 6″ in addition to the back deck area. Predominately used with Narrowboats, this type of stern has the appearance the traditional design stern when viewed from the side but has a larger semi-open rear deck which provides room for storage and allows one or two people to cruise on the back with the steerer. The engine is located under the deck. 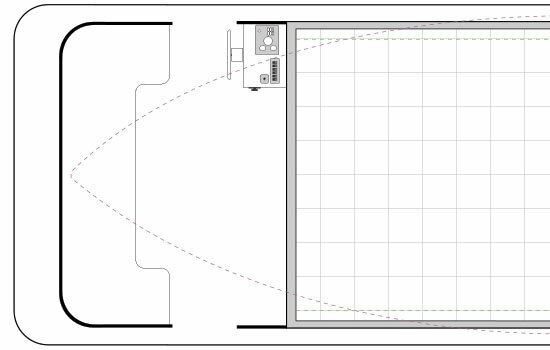 A narrowboat or widebeam canal boat with a large, open deck area at the rear of the boat between the counter and the rear doors, usually having a rail around the back and sides to protect the crew and passengers. The engine is located under the deck. 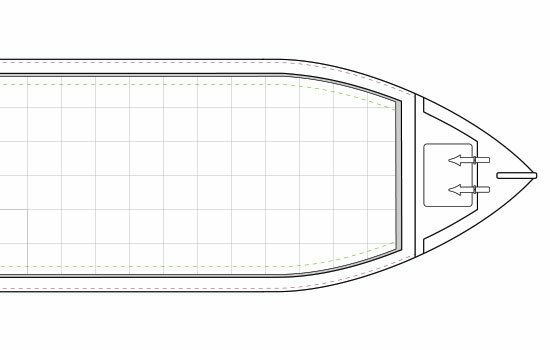 Simply put a Square Stern is a Cruiser Stern with squared shape with radiused corners, these give a more space on the back deck and are becoming increasing popular with widebeams. The current trend with widebeams is to have an Enclosed Square Stern, as per the Euro-Cruiser, without the seating or hydralic steering. 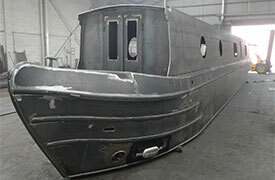 The 8ft Euro Cruiser stern option is only available on widebeam canal boats. 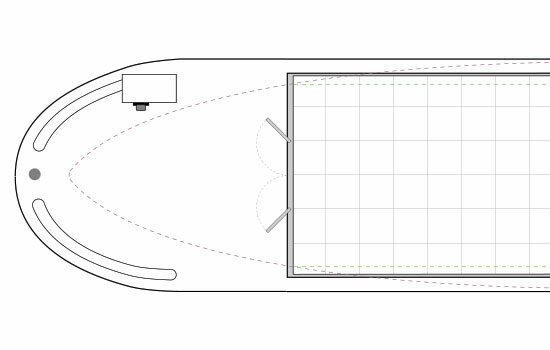 Consisting of an Enclosed Square Stern and full width seating (often combined with a removeable table). The Euro Cruiser is generally ordered with an upgraded hydraulic steering system operated with a steering wheel. A very popular stern type for widebeams, however generally not an option for buyers on a limited budget, expect to pay upwards of £7,000 exc vat, specification depending. 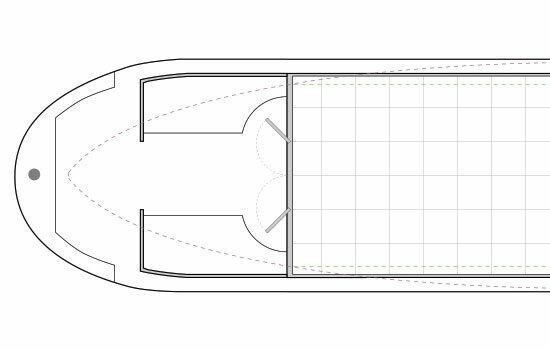 The 10ft Euro Cruiser stern option is only available on widebeam canal boats. 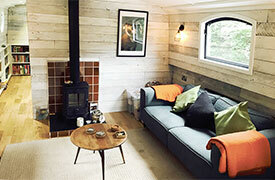 Consisting of an Enclosed Square Stern and full width seating (often combined with a removeable table). The Euro Cruiser is generally ordered with an upgraded hydraulic steering system operated with a steering wheel. A very popular stern type for widebeams, however generally not an option for buyers on a limited budget, expect to pay upwards of £8,000 exc vat, specification depending.